synthesis, but heat….a bit oppressive. It’s been so unusually sunny/warm/dry throughout this spring. It’s still June, however. It already feels like mid-summer, or even warmer. We’ve been very busy in the field due to the outcome of the abnormally warm and dry conditions. I guess farmers are already tired! ?….well, I may be speaking for myself. Although farming never gets boring (or fun?) when the weather hits like this, it certainly cultivates us to keep faith and optimism with Mother Nature at work. The month of May and into June it’s been quite different from normality due to the unusually warm and dry weather. In fact, the spring of 2015 has been the warmest since the early 1990s. Normally, we don’t need to irrigate the field until June, but this year we “had to” start watering crops in early May. Field 3 (our boggiest field) usually remains wet/boggy through May – early June, but it wasn’t the case this year. As a result, we were able to start planting in Field 3 in early May about a month earlier than normal. That said, you can tell how warm and dry the weather has been so far this season. It is already affecting this year’s farm operation in various levels….how we farm in light of this climate change. As we pay attention and plan accordingly, we are growing more heat tolerant varieties of certain crops. 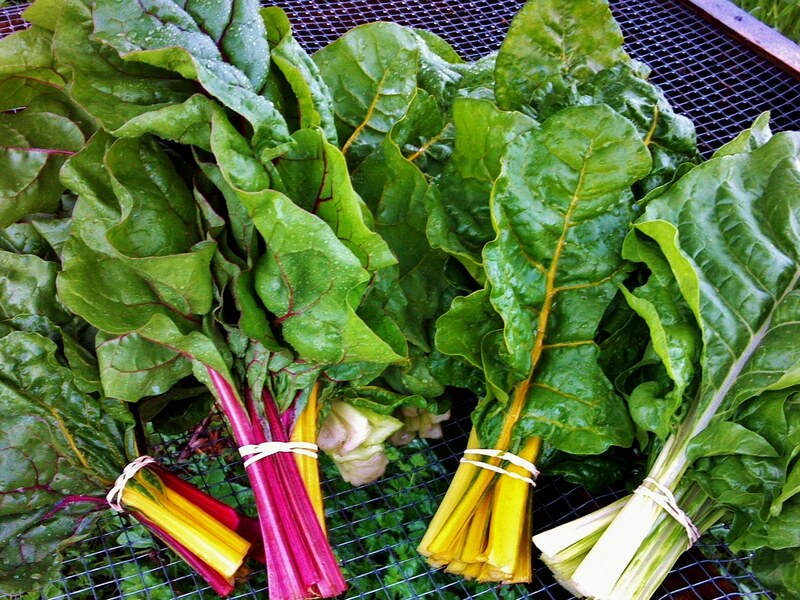 Among those vegetables are certain varieties of lettuce, radishes and leafy greens like spinach. “Diversity” is the key here…..growing a diversity of crop varieties could save us in case of crop failure due to extreme weather conditions – hot/cold/wet/dry. Also, checking weather forecast/soil moisture/humidity, timing to water and the use of efficient irrigation become critically important if the weather gets warmer with no sign of rainfall. Water…..I can imagine what those farmers who rely on surface water/snow melt might face this summer in the ongoing state wide drought emergency which also addresses an ecological warning sign. We luckily have well water available on the 21 Acres farm, but limited….because we have no water rights. What does that mean? Go figure. I just say this….no water, no food. So far we are “peacefully” sharing water among the users on the farm, but overloading the water pump’s pumping capacity has already caused a system shut down (pump’s protection feature) a few times since everyone wants to use water at the same time when in need in this dry weather. We’ll see how it will go….it’s not even summer yet. The bright and dark sides of this warm weather….crops are generally happy. They are growing well and look/taste good so far. Have you tried our peas yet? Our peas are particularly sweet this year. Some of our lettuce heads are big and full, except some varieties got early tip burn due to the heat wave. Tomato, cucumber and eggplant look happy and like the weather. Corn is the same and about a foot tall now. 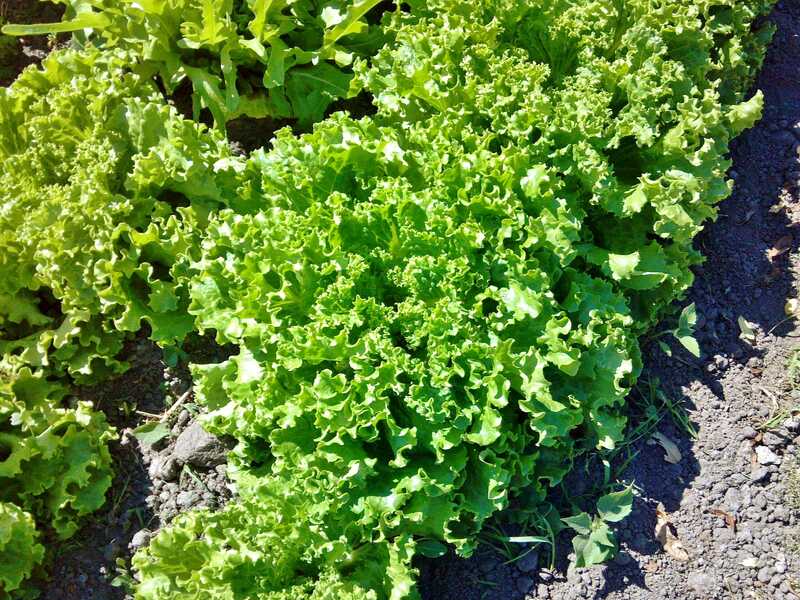 Most greens are still looking good, but some have already bolted/flowered due to high temperatures….such crops as mustard, gailon, arugula, mizuna, komatsuna. We lost one crop of lettuce scorched by the heat wave about a week ago. Beets, carrots, beans are finally catching up and summer squash is just starting to have some blossoms. We picked our first basil today….pesto time! Weeds and pests…..weeds have been growing like wild fire in the abnormal warmth. 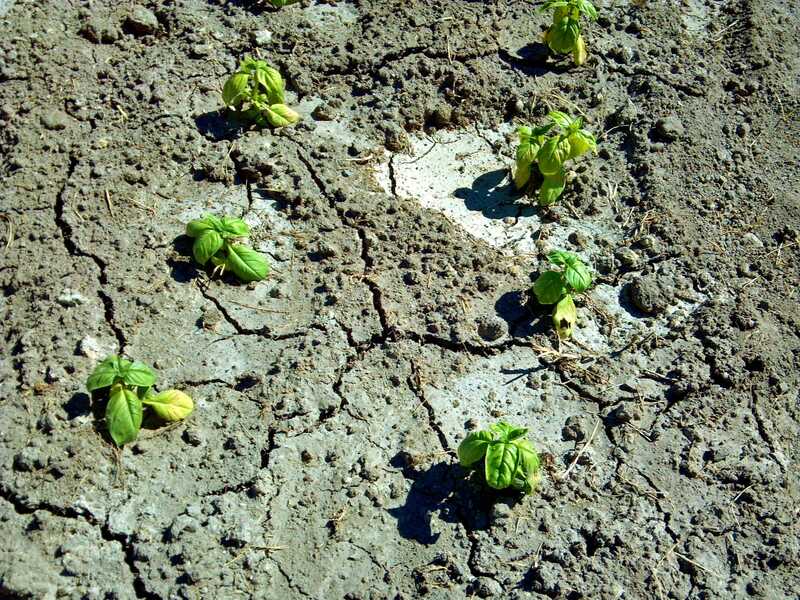 Although we weed every day, weeds are resilient. Surprisingly, weed cannery grass has been popping up in some areas in the field. We are wondering where on earth it came from because we had never seen cannery grass growing in the field before. Cannery grass is invasive and hard to get rid of. Carrot fly….we found carrot flies under row cover in carrot beds more than normally seen. Carrot flies lay eggs in the soil. After the eggs hatch, larvae start feeding on carrots. So, just to list a few, we are facing some challenges with weeds and pests caused by this warm weather. According to a WSU entomologist I had a chance to talk to recently, some pest issues are already emerging earlier and more than usual because of the warm winter and spring. Insectary bed….we are rebuilding all of the insectary beds in the fields this year. By adding more insectary plants and also introducing different kinds, we are hoping to enhance the ecological biodynamic system of the insectary beds. Some of the examples are….nasturtium, marigold, tansy, garlic chive, daisy, yarrow, poppy, foxglove, echinacea, sage, sunflowers, etc. that are useful to attract beneficial insects/pollinators/wild birds and/or repel pest. We are also planting a variety of clovers (red, white, yellow) and oat as a cover crop to suppress weed growth as well as replenish soil tilth of the insectary beds. By the way, I’d like to thank all the volunteers who helped rebuilding the insectary beds! Farm internship…..we have two interns helping us this season. 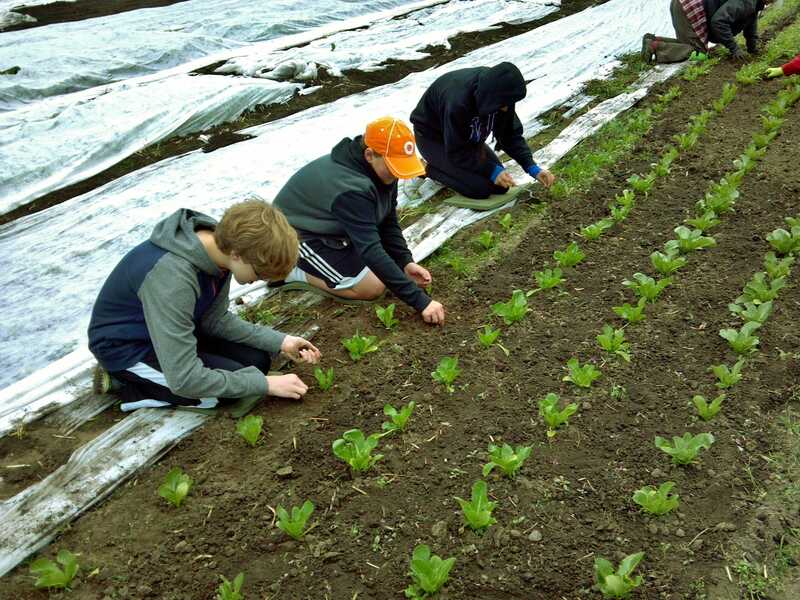 Through hands-on experience on the farm, the interns’ main focus is to learn organic farming/certification, sustainability/permaculture and “farm to table” along with a certain project based on their special interest. I’ll update more about the interns as their internships progress. Pruning tomato plants….are you growing tomatoes this year? This may be a great year for growing tomatoes because of the extra warm weather. If you are growing tomatoes, it’s time to start pruning. Pruning can improve the production of tomatoes and health of the overall plant. It also helps easy harvest instead of letting them grow too bushy. Here’s a video we made to show how to prune tomato plants. That’s a wrap. You can follow this update via pictures here. I included a picture of Chester Morse Lake and Masonry Pool which I saw from Mt. Washington when I hiked up there over the weekend. 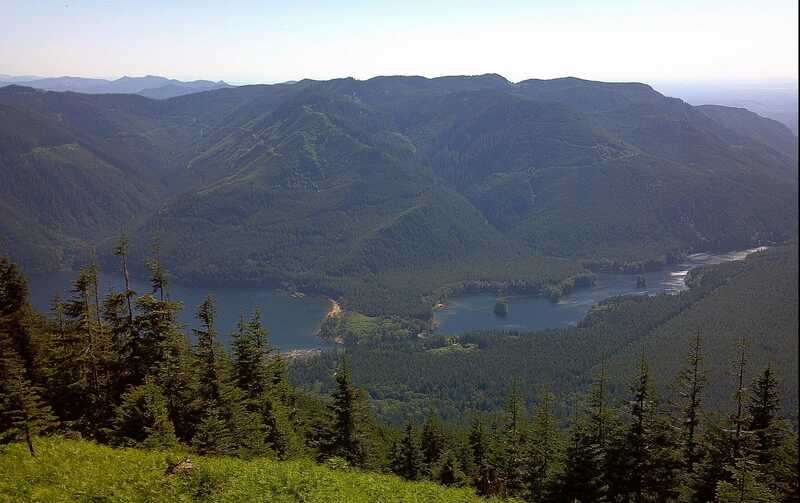 It is amazing to realize these two reservoirs are the watershed to keep the greater Puget Sound hydrated. They look pretty full in spite of the state wide drought condition….. at least for now. The longest day of the year is just around the corner. Have a great summer!